R.E.M have announced a new box set containing over 20 years of concerts, interviews, and performances for the BBC. The eight-CD, one-DVD collection features a number of rare and previously unreleased performances. 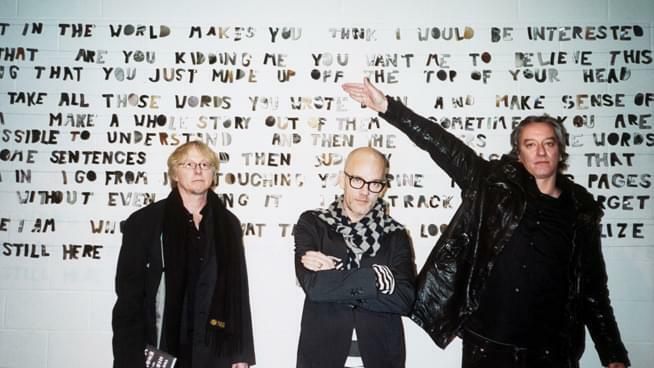 The super-deluxe edition of R.E.M. at the BBC features their sessions with legendary DJ John Peel, their 1999 headlining slot at Glastonbury, the TV documentary Accelerating Backwards, and more. They will also release The Best of R.E.M. at the BBC, a condensed 2xCD or 2xLP vinyl set. You can find out more details and pre-order on R.E.M.’s website. Out on October 19th via Craft Recordings, the launch is being celebrated with an acoustic version of ‘Losing My Religion’. This song was recorded for Nicky Campbell Session Into The Night on BBC Radio 1 and was first broadcast in March 1991. Check out the full BBC track list and tune in below.